Mamma Mia! We've got it this time! Not just a Mother's Day tea, you will want to enjoy this all year! Steeping Time: 2 - 3 mins. 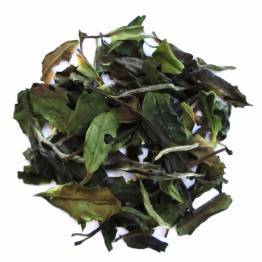 A treat for everyone this Mother's Day, sweet, floral with hints of wine and berries, this tea is sure to be a hit! The many lives of Mamma Mia! The phrase ‘Mamma Mia’ has popped up quite a bit in popular culture: once as a 2008 American-British musical/romantic comedy film, again as a stage musical written by British playwright Catherine Johnson, and also as a song from ABBA. But in Italian, Mamma mia literally means “my mother”, and is an exclamation used in situations of surprise or anguish. In our case, we’ve adopted this phrase to mean “Wow, what an awesome tea!”. Have you tried Mamma Mia? Tell us what you think!